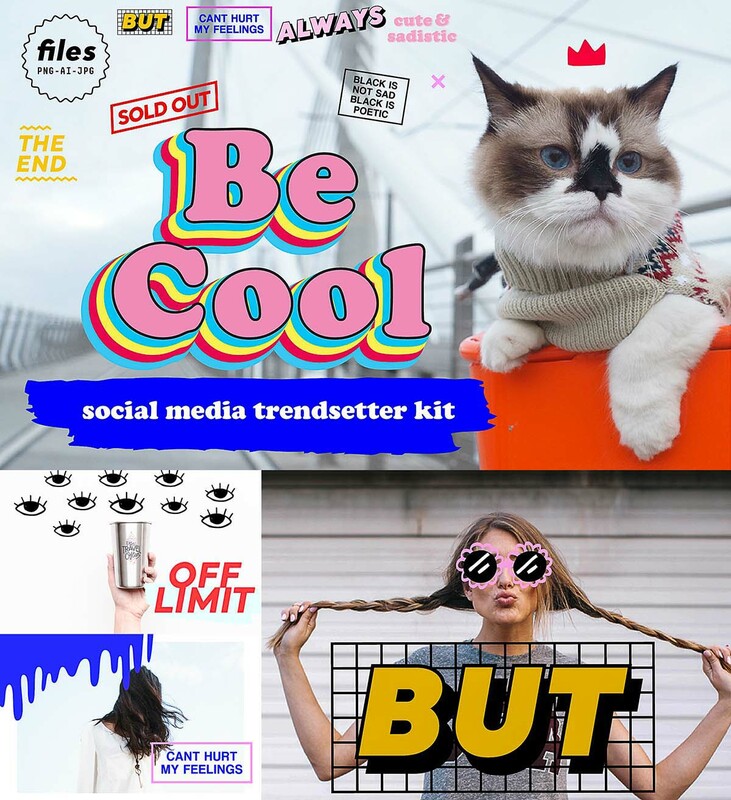 You can create unique and trendy posts with more that 50 stickers. It’s so easy to use, transparent files of them are included in zip file. Free for download. Tags: blog, cat, cool, eye, hipster, party, social media, sticker, trend.